No matter what you do, sometimes you just can’t avoid money troubles, and for those times, Power Finance Texas is here to help. Need money to help you pay that pile of medical bills? Maybe you’re just looking for some extra cash to pay for Christmas presents or a long-awaited trip you’re finally ready to take? Whether you’re comfortable coming into our East Houston office, or prefer to handle business online, we have several cash loan options to make sure you find exactly what you need to help you through the difficult times. Our East Houston location is in the Bank of America building at the corner of I-10 and Federal Rd. With installment loans that require no credit history with us and approvals within minutes, the help we offer is immediate, and the money is typically available as soon as the next business day. All it takes to secure one of our hassle-free loans of up to $1,250 is a phone, a checking account and a few simple qualifications. Our knowledgeable customer service representatives can easily help get you the cash you need today! Drop by our East Houston location today to apply for one of our consumer friendly installment loans. We offer short term & installment loans in East Houston 6 days a week. 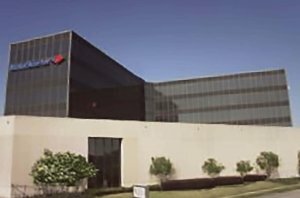 Just north of Interstate 10, you’ll find our East Houston facility located in the Bank of America building on the corner of Federal Road and East Freeway, making us easy to access from anywhere in the greater Houston area. And with office hours extending until 6 P.M. weekdays and 1 P.M. Saturday, we are here to help you whenever you need us. So stop worrying about your money woes and let us get you approved for a loan in as little as a few minutes.